The World Poker Tour's second Alpha8 Super High Roller got under way yesterday and by the time the registration desks had closed a total of 19 well-bankrolled players had taken to the felt. 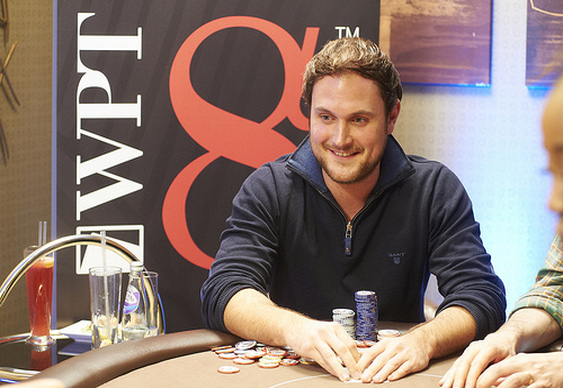 Each anteing up £100,000, the exclusive series of events is gradually becoming a regular stomping ground for the likes of Tobias Reinkemeier, Igor Kurganov and Fabian Quoss. Known as three of Europe's best High Roller competitors, the three players all made it through the opening session, with Reinkemeier taking the top spot with 428,000 chips. Also amongst the early runners making it through Day 1 was Tony G (252,000), Viktor 'Isildur1' Blom (174,000) and English amateur Talal Shakerchi(66,900). Today's final session will play down to a winner but before the prizepool is set and the trophy handed out there's still a chance for players to join the action. Indeed, wealthy US amateur Bill Perkins is expected to fly in especially for the tournament and Sam Trickett is likely to be one of the pros exercising their option to re-enter later today. Whilst the poker world's elite were busy fighting for another title, the organisers seized their moment in the spotlight to announce the next stop on the Alpha8 tour. Having visited the US and now the UK, the team will soon be heading to Saint Kitts. Taking place inside St.Kitts Resort & The Royal Beach Casino, the $100,000 tournament will take place between November 16 and 17. Image courtesy of Anne Laymond / World Poker Tour.